ADIVAN DVDs most exceptional characteristic is its huge storage capacity for image, sound and computer data. Above all, it triumphs over other storage media by the speed at which it transfers data. Extensively experienced in replicating this “versatile” disc format, we use the latest technology to provide you with the highest quality products. DVD stands for Digital Versatile Disc and this title proclaims the great potential of this next-generation disc – it really is “versatile”. DVD can transmit large amounts of data in a very short time, whilst maintaining exceptionally high picture, sound and film quality. What DVD products does ADIVAN offer? 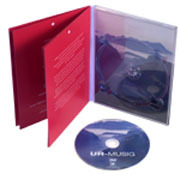 Specifications for DVD label can be found at DVD Downloads.